Gulf Front! Views Views Views! 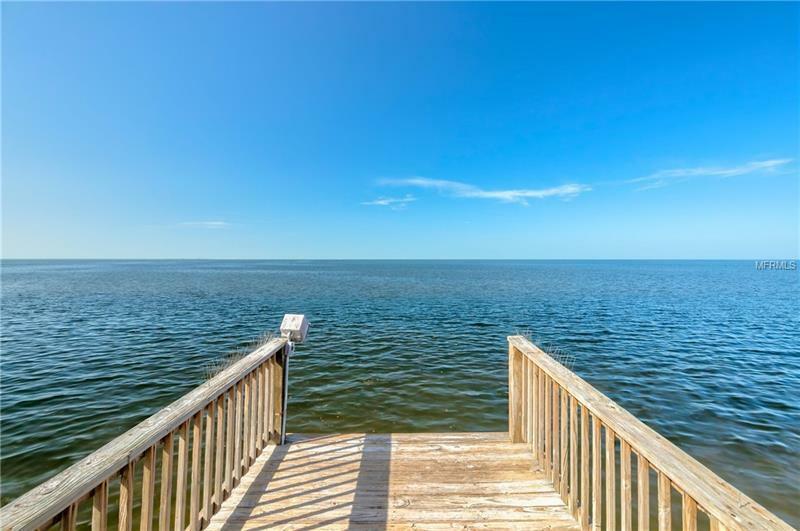 Welcome home to paradise at 5225 Westshore Dr in Gulf Harbors. Extraordinary value Gulf-front home; immaculately maintained & move in ready. Beautiful landscaping greets you at this freshly painted, 2281 sq.ft. 4 bedroom, 4 bath, multi- car garage, pool home. Step inside are feel the openness & light, a few steps to the top of the landing & Wow, the Gulf of Mexico! Your billion dollar view! This open floor plan features a large dining space open to the kitchen, featuring ample cabinet space & breakfast bar. The sunken living room is the pise de resistance with vaulted ceilings, stone fireplace, two sliding glass doors & wide open views of the Gulf and the upper deck. The family room features a wall of windows, built in nook for your entertainment items & full size bathroom. Across the home is your waterfront master suite featuring ensuite bath w/walk in shower and dual vanity & a huge walk in closet! The other three guest rooms are across the home and have private bathrooms. The garage features a 200 sf workshop area & parking for multiple cars! The pavered patio and pool leads to you wooden dock with built in seating where you'll spend hours soaking up the sun with your family & friends. Stand Up Attic. 2 AC systems. Hydraulic Elevator. Garage level dehumidifiers. Reverse osmosis system. Enjoy the private Gulf Harbors Beach Club located almost next door for just $156/year. This may be your once-in-a lifetime opportunity! Start "living the dream today!" Pet Restrictions: Buyer to confirm.